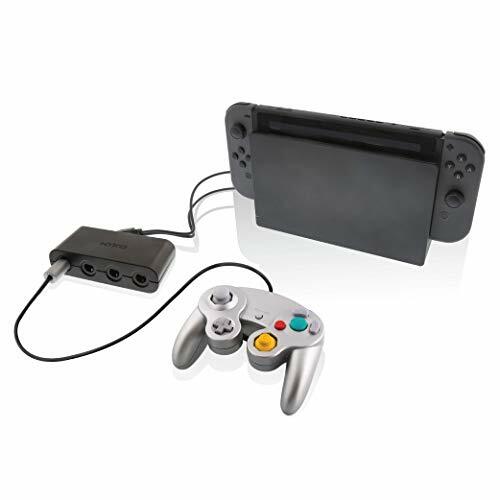 Get ready to use your classic GameCube controllers again with Nyko's Retro Controller Hub for Nintendo Switch. 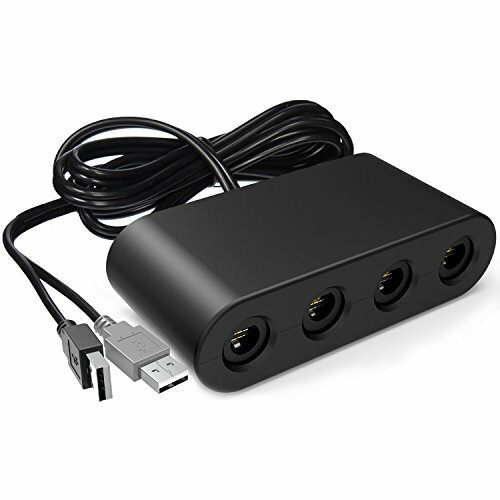 Retro Controller Hub features 4-ports and allows for up to 4 GameCube controllers to be connected to the Switch for competitive and local multiplayer games. 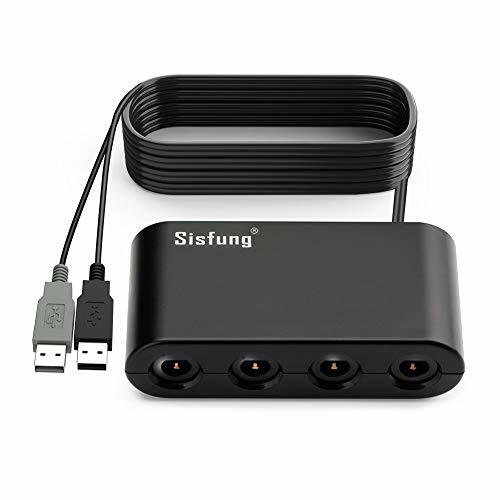 The hub plugs into the two USB ports on the side of the dock providing enough voltage to support up to 4 controllers. 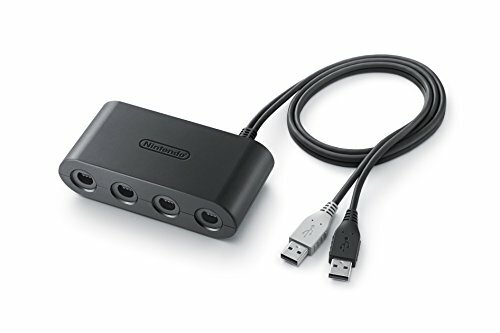 Please Note: Retro Controller Hub can only be used when the Switch is in the dock. 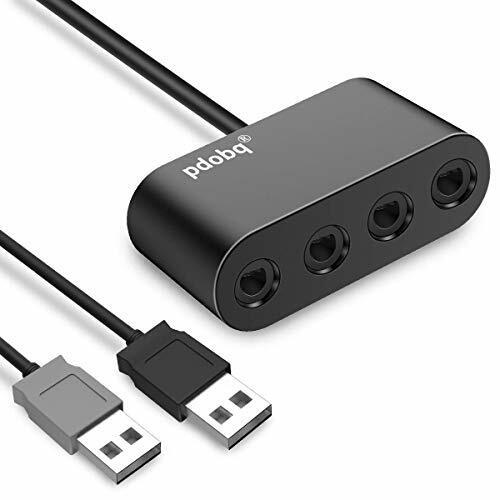 Connect any wired GameCube or classic Edition Controller to this adapter and you can wirelessly pair it to Nintendo Switch. Distance 6 to 10 meter. 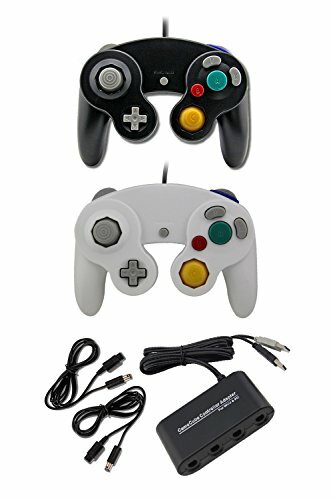 Great News--Super Smash Bros Is Coming! Now You can choice your favorite hero to battle on Nintendo Switch. New Features: 1.Support Vibration--The real battle feedback provide you a great experience. 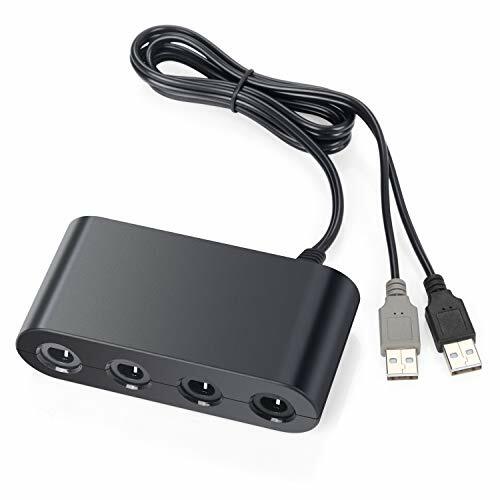 2.Up to Eight Player--You can play with eight friends at the same time,Just need two gamecube adapter. 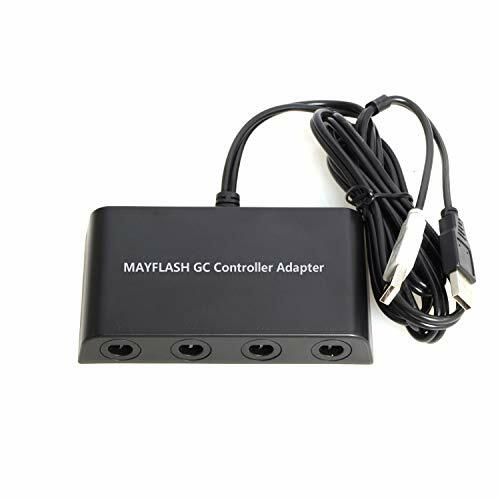 3.Easy to Use--No lag and no driver need,only need plug the cable and then you can enjoy your game time. 4.Turbo Function--Easy to press the turbo button and then press which you want button to turn on/off turbo function. What Do You Get? 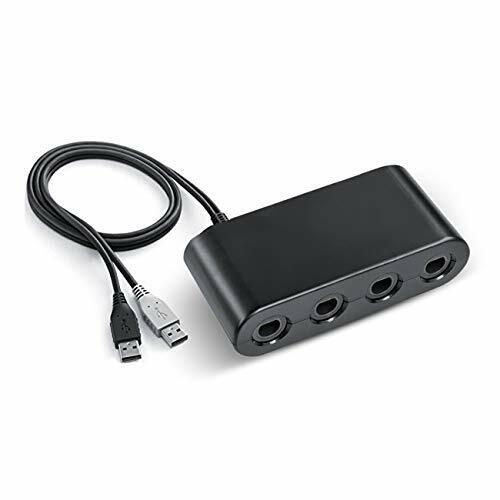 1.Gamecube adapter X 1 2.Manual instruction X 1 3.One Year Tec Support X 1 Kindly Note: 1.This gamecube adapter is not OEM or Official. We would provide you one year warranty and 45 days money back guarantee. 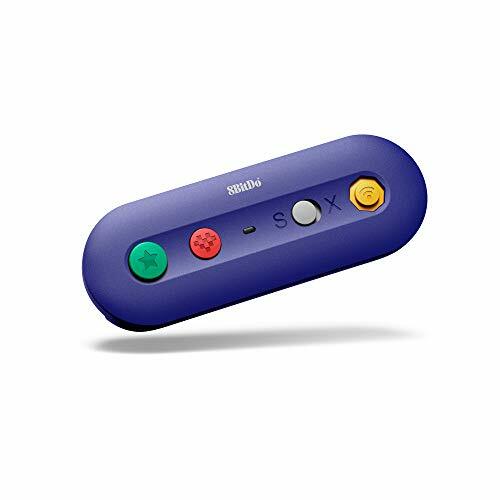 2.If you want to play on Nintendo Switch,Please update the system beyond 4.0 and gamceube controller button is less than switch. Some game's function may not achieve.